Asheville Highway Animal Hospital offers house calls to our clients who prefer their pets to be evaluated in the comfort of their own home as well as to clients who are homebound and are not able to transport their furry family member to our hospital. House calls are by appointment only Monday thru Friday. If it is deemed necessary and your pet requires care beyond what can be provided in the home including advanced diagnostics, surgical procedures, and hospitalization, we will transport your pet to Asheville Highway Animal Hospital. Should you choose to breed your dog, our veterinarians are skilled in performing this service through artificial insemination. After a thorough examination to determine that your pet is healthy, you may begin the process to breed your pet. Our doctors will evaluate your pet as and her pups to ensure that everyone remains healthy during the pregnancy. 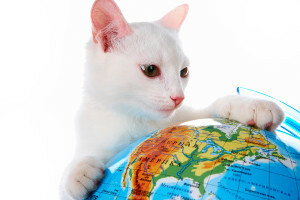 If you are interested in traveling with your pet from state to state or to a foreign country, you will need a Health Certificate completed by a licensed veterinarian. All of our veterinarians are USDA certified and want to make sure that your travel is as smooth as possible. Contact our office to schedule an appointment within 10 days of travel. One of our USDA certified veterinarians will do a complete examination of your pet. Your pet will need to be up-to-date on annual vaccinations. The veterinarian will complete the necessary paperwork during your visit. Begin research AT LEAST 6 months prior to traveling. Go to the USDA Animal & Plant Health Inspection Service webpage. Select your destination country by letter near the bottom of the page. Print the information needed for your records. Contact our office to schedule an appointment within the required times mentioned on the website. Each country has individual requirements. Therefore, please bring paperwork to your appointment with you. 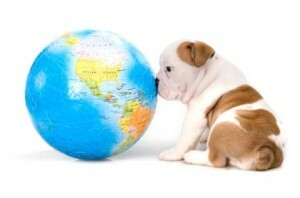 Your pet’s needs (vaccines, titers, etc) will vary depending on the destination country. 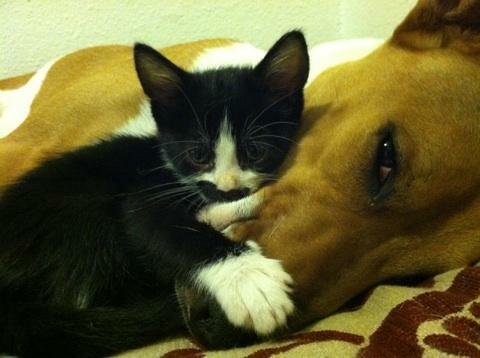 Please allow up to 24 hours for our veterinarians to complete the necessary paperwork. In keeping with our commitment to provide excellent patient care, we are excited to offer a user friendly online service, ePetHealth. This technology offers you 24/7 online access to your pet’s basic information and allows you to view or print the necessary information needed in an emergency. My Clinic – Contact our hospital via ePetHealth, even after hours, for appointment requests, medication refill requests, boarding reservations or to ask a general question. Imagine how much time this can save you! Alerts-Allows you to better manage your pet’s important medication doses by setting up email alerts. These alerts will signal it is time for your pet’s next dose and how many are remaining. E-mail Reminders – An email reminder will be sent to you 30 days prior to any upcoming vaccines and/or examinations due dates. This service also sends you reminders when you have an appointment scheduled with our practice. Text Reminders – After you are signed up for ePetHealth, you can activate text appointment reminders. This service can be turned off at any time and you can also select other communication options through your portal. Educational Materials -Your ePetHealth portal provides you with a library of educational materials including pet health videos, articles, breed information and interactive features. To begin using the service simply visit ePetHealth.com, enter your email address that you have on file with Asheville Highway Animal Hospital, and click the “first-time login?” link located in the Login section. Next, you will be emailed an activation link and guided through the registration process. you will be asked to create a private password and select a secret questions and answer you wish to use. Finally, an email will be sent to you confirming that your account is active and you can begin accessing the great features of your portal.